This horseshoe-shaped bay of fine dry sand provides a sheltered environment for bathing, making the beach a favourite with families. A narrow gap between the headlands of Grandes Rocques and Portinfer lets the sea into the bay. The tide at Port Soif Beach is currently rising. High tide will be at approximately 11:50 AM, and the next low tide will be at approximately 6:06 PM. There is ample parking near the beach. Cleaned by hand daily during the Summer and twice a week in the Winter. 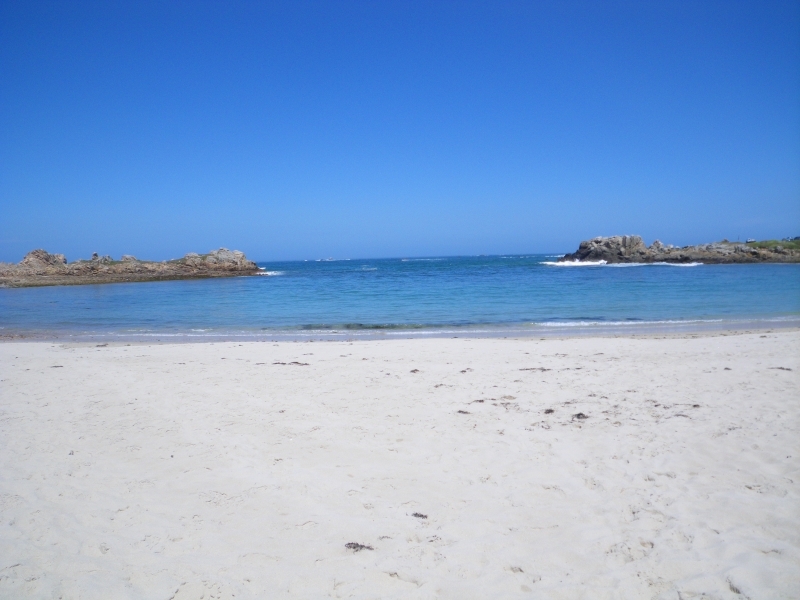 Visitor information for Port Soif Beach, Guernsey, Channel Islands. Weather, tides, visitor comments, beach facilities, photos, nearest postcode, beach information and nearby accommodation.